Okay, now I know I normally sit here in the Drool section and talk about weather, my computer and other superfluous crap. I also know I said I was going to keep legislative issues here and not do full articles on them. This weeks' Drool could very well go long so hang with me. I think I have told you all at one time or another, I am from Missouri. The “Show Me” State. A recent story I was sent has made me want to quit admitting this. In fact, this story pissed me off so significantly, I have had a hard time sleeping. Am I being melodramatic? You decide once you hear this tale. I will give you the condensed version, but will also provide you with a link to read the actual news report at the end of this section. In the city of Iberia, Missouri, the Mayor, Robert Crawford has ordered the Chief of Police, Gary Plemmons, to have his officers shoot all unattended dogs whether they be vicious or not. They pick up a dog and take them to a specific vacant lot and shoot the dog within minutes of picking them up. No looking for the owner, no shelter to see if the owner will come to pick them up. Just pop them in the head. Now the “Honorable” Mayor has said his policy is because they don't have the money to license dogs or house them. I find this ridiculous as they had the money to have a community pool built and pay for the insurance it takes for a municipality to operate such an operation. A small kennel and licensing operation would have cost less than half what their glorious pool cost. I guess it is just easier to spend a few pennies on a .22 caliber bullet rather than address the issue. You know what though, they can all go swimming now! The State law says vicious dogs can be shot by law enforcement when it is deemed in the best interests of public safety. I agree with this even if it pisses some of you off. The safety of people has to be considered and must take precedence. The thing here is, they don't care whether the dog is vicious, and the mayor has ordered the execution of ALL dogs regardless. This is sick. SICK! I can only guess Mayor Crawford has decided to take his own prejudices and started his own little extermination camp for dogs - in the back lot of the City of Iberia, Missouri. I can think of at least five different alternatives and I haven't put a lot of time into it. Why is it the mayor can't figure it out? Why is it he won't write me back? Why is it every humane organization thinks this is wrong? I am betting it is because he doesn't have the brains or guts to do so. I am betting none of the city officials will step up. After all, they have their pool. If you think this practice is sick or unacceptable, then send a letter to the addresses I have provided. Let them know what you think even if you don't live in the State. It really doesn't matter. The more they hear our disgust, the more likely they are to change their policy. My husband and I are getting ready to go abroad for a few months and can't take our dog with us because of the import restrictions in some of the countries we are visiting. We have been anticipating this trip for some time, since we got married twenty years ago, and don't want to miss out. I know it sounds petty to some, but what do we do to keep our dog happy while we are gone? Should we leave her with family or is a kennel the best option? How do we prepare her for our departure? I don't want her to grieve. I know, when I am done saving the dogs of the world, I would like nothing more than to travel freely around the world with no responsibility other than to myself. I have done it with dogs, and for dogs, and I will tell you, I loved it. I would also like to have a chance to do it on my own. I also know there will most likely never be a time I will live without a dog in the house. I understand dogs more than I understand my kids. Hell, who understands their kids! At the same time, I sure wouldn't want my kids, or dogs, to feel lost if I decided to have some me-time. Let's face it; we all deserve it. With my kids, I can just say, “Hey, I'm going away for a bit but I will bring back lots of presents for all of you.” With my dogs, I can't say a thing. They don't understand, “be back soon” or “I'll bring you presents.” They just don't get it. So How Do We Prepare the Dogs For These Long Times Away? There are a couple of ways, but first we have to understand the dog. Is the dog confident or is she timid? It can make a difference. Are she diet dependent, or not? Meaning she has to have a certain diet each day. What are her exercise requirements? Next we have to consider the way a dog looks at loss. If you are away for over a couple of weeks, your dog is most likely to think you have died. Once you get back, you then have to re-socialize the dog to the fact you are still with her. This can take time and you should be prepared for that. It is likely your dog will be a little stand-offish when you return. Okay, so how do we prepare? I think the best thing you should do is pick the best caretaker for your dog. It doesn't really matter if it is a kennel or family friend. Just pick the best person willing. Now this seems basic but often people leave their pets with friends and/or family who couldn't care less about their dog. This is a menu for disaster. Ask the people how they feel about keeping your dog and force them to be honest. We all know we will do things for friends and relatives we don't really want to do. If they aren't truly behind watching your dog, then don't leave her. Offer to pay for the dog's food and even a little extra to cover expenses. Your only other real option is to find a kennel. This is my least-preferred method, as you have to rely on employees you don't know. If this is your only choice, then check the kennel out thoroughly. Make sure they have no complaints with your State's veterinary services unit. Ask for references and check them out. When you arrive home after a long time away, take it slow. Give your dog time to get used to the new arrival. Don't expect her to act the same, but remember she will come around. They need time to get used to the “rising” of their owner. A slow approach will help the dog to realize everything is okay. Keep things consistent when you come home. Return to the same schedule as you had before, and return the dog to their normal life before you left. Do it immediately and don't falter. This is important, as a dog will need this return to normalcy. Dogs are for life. If you want to travel when older, then try to plan those travels around your dog. They would do it for you, so do it for them. Good job on this month's newsletter. The joke was hilarious! The articles on puppy raising and Dobermans were superb. Thanks for preparing this newsletter. It is much appreciated. I am so glad that I have this, I have two shelties, they are my furkids, to say the least, my little girl has had some medical problems and is doing fine we hope to keep her clear of bladder stones now she is starting to get over her shyness, and because she was sick its taken longer than expected, she is two yrs now, and my male is ten yrs, he is very social, thank you for your site. Often when I write this article, I have only a limited knowledge of the breed. Let's face it, there are a couple thousand different breeds out there, and I can't know them all. This breed I know probably better than any other breed. I worked with them almost exclusively for nine years in every aspect of training and behavior. I know this dog. The dog is often described as “square” but I have found the best of the breed to be much more streamlined. Their tail is long, nearly as long as the body. They are extremely muscular and strong. They have a definite definition to their body. They have a minimal slope at the withers and their chest runs deep into the front legs. Their eyes are slightly elongated and always alert to their surroundings. Their teeth meet in a tight scissor bite, and the canines should be long and definitively pointed. Their ears stand tall and erect without surgical intervention. They have a dense undercoat making them acceptable to almost any climate. They range in color from tan to red with a black mask, tips of tails and feet. They should not have an excessively pointed muzzle. They should also have a decidedly flat “muscle head.” In other words, you feel the muscles on their head before you ever feel bone. The Belgian Malinois is a SERIOUS working dog. The breed was developed a little more than 100 years ago. 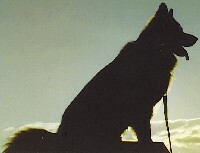 It was bred for the purpose of developing the ultimate protection and police dog. There are many breeders willing to dispute this, but I know it to be true. They are NOT for the average dog owner. 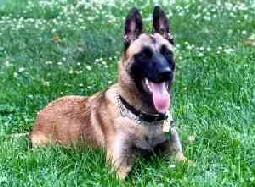 There are several versions of the mix, which created the Belgian Malinois. No one seems to agree so I won't go there. The Belgian Malinois is an extremely protective dog designed for police and military use. They have the ability to be good companion animals but require an experienced hand. They are aggressive with those they don't know. They are not safe with children they haven't been raised with. This is a simple fact. They require extensive exercise on a daily basis. I am talking about two plus hours a day. This dog is the ultimate working dog and must be treated as such. You must plan a lot of activities and exercise in order to keep them happy. They are completely unacceptable for apartment life. I know many breeders will disagree, but I am telling you NO! 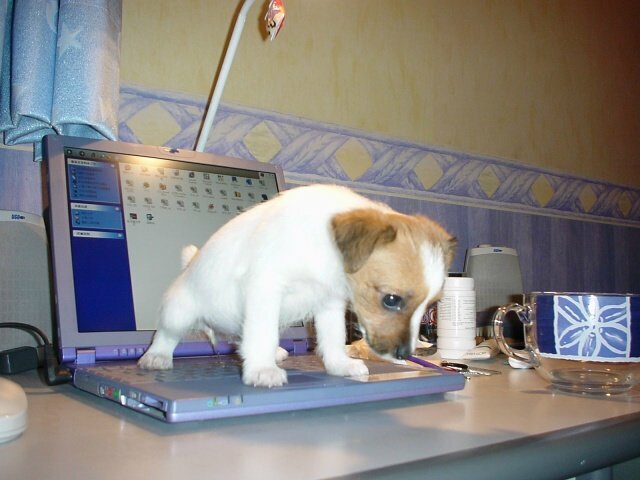 They are a working dog at the truest form. They need to be out, have a distinct job, and know their purpose. If not, aggression could be the result. They require extensive socialization before they are ever weaned. This needs to be continued after the dog has come to its eventual home. Now, I know I say any dog can be trained, this breed mandates serious training. Not the kind you get at the local pet store. As a result of their high-energy nature, they are susceptible to bloat and gastrol torsion. As a result, they should be given at least two hours before or after they are fed before they are excessively exercised. They should also be checked for hip and elbow dysplaysia before a pup is ever purchased. The breeder should pay for these tests. Okay, I have sounded rather negative about the breed. I love this dog! I love it as a police partner and I love them as a military partner. If I still worked in that venue, there is no other dog I would rather have. As a pet…I might have to think twice. 12. It SMELLS like food though! 11. It was the cat! 10. Whatta you say to a trip to Dairy Queen? 9. Explain this "heat" thing again? 7. You gonna eat that? 6. What? I don't smell anything? 2. What mess? It's ambiance! 1. You're going to cut off my WHAT!!!?? ?